Dynamic websites powered by PHP can serve many of your business objectives, but when rapid web development is all you need, you can always count on CodeIgniter. This PHP-driven framework has a pile of plug-ins, libraries, modules, and other rich resources that offer a robust backup for complex procedures and purposes. Its straightforward methodology along with all the practical properties can help you get the right answer to all the website-related queries. CodeIgniter makes quick and consistent advancement possible in web development process through easy-to-use tools and efficient interface. What’s more, you can get customized web applications in a short span of time with the help of CodeIgniter that eventually translate into higher RoI and improved productivity. CodeIgniter is a simple and user-friendly platform. 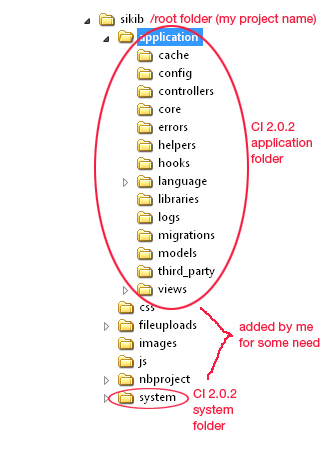 As an open-source framework, it is easier to organize and configure. Customizable nature of CodeIgniter enables you to integrate features to meet changing business requirements with ease. CodeIgniter simplifies PHP syntax as the framework is built on a linear and readily usable folder structure. Also, the platform offers to streamline of code to facilitate the configuration. As a result, you can get a futuristic web app and website. CodeIgniter comes with a slightly different functionality, but it is beneficial for the users. It offers a hassle-free migration from one to another server. As an MVC-based framework, you can expect agile and yet uncomplicated management of your website and web applications from CodeIgniter. In brief, CodeIgniter offers you a synergistic, interactive, and impulsive website in relatively no time! Here is a masterstroke from CodeIgniter. Simple and user-friendly interface help users identify error functions. It delivers instructions to an error-logging class and enables debugging messages to be saved. You can see all PHP errors in your web application without getting meagerness. CodeIgniter also enables the designers to select and apply distinctive compilations from various code organizations. Designers can create tailored web solutions for your business using this open source schema with ease. The development platform also comes with several security features and can make your website consistently performing across different devices. The development process for both websites and web applications using CodeIgniter is clear, and developers can perform documentation process in a thorough manner, which means that you can get a neat business website or a web app with necessary features. Well, these are some of the noteworthy benefits of CodeIgniter framework. You can get the most from this platform when experienced web developers deal with your web project. Hello, it is right that Codeigniter should be your first choice for rapid web development as it’s one of the best PHP Frameworks. You have mentioned it’s causes rightly. One of the best benefits of CodeIgniter is that it is very safe compared to others. Thanks for the article.